Easy Easter art projects for Kids (and adults) will help you keep your children (and other houseguests) busy over spring break. 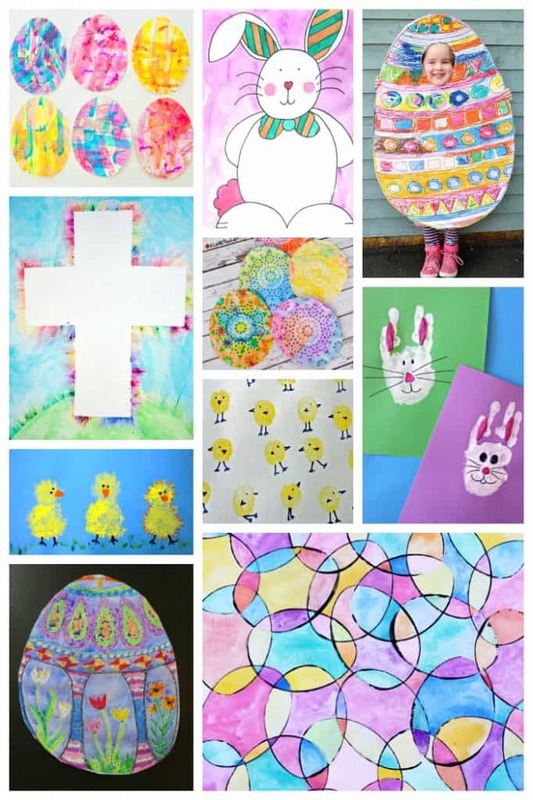 Easter artwork like these fun Easter egg, Easter bunny, Easter chick, and faith-based Easter art ideas also make simple art lesson plans for teachers in the classroom. Not going anywhere for spring or Easter break? Don’t worry, we have lots of seasonal arts & crafts and other ideas to keep you and your children happily creating, learning, and connecting while you enjoy each others company. If you have ever wondered how Easter Eggs, The Easter Bunny, and Easter Baskets came to be associated with Easter, we have uncovered a few interesting theories and facts that you can learn all about in our article on Easter Traditions. 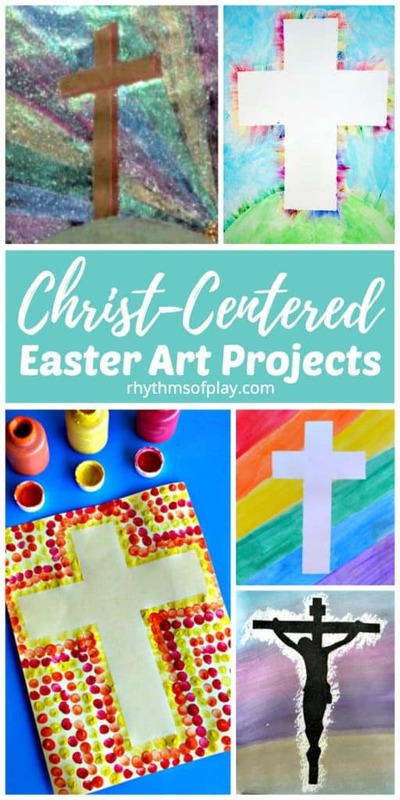 We have rounded up an awesome collection of Easter art projects that will make planning an art project for Easter a whole lot easier. Whether you are a parent hoping to spend time connecting with the kids doing an art project together, or a school teacher looking for a fun new Easter art lesson we’ve got you covered. We have arranged this amazing collection of easy Easter art project ideas in Categories so you can easily find what you are looking for. We hope you enjoy this collection so much you find more than one new Easter art project to try! Make some Easter egg art to get the kids ready to decorate eggs this year. Speaking of egg decorating ideas, we have found a way to color, yes color natural brown easter eggs. Pop on over to have a look at how we did it! Our family also likes to decorate wooden Easter eggs for the spring equinox and Easter. We love that we can reuse them year after year and pass them down as family heirlooms. Below is an awesome collection of easy Easter egg art projects you can try with the kids. Use any of the adorable Easter bunny art ideas below to keep the kids busy. There are even a few handprint and footprint keepsakes children can make to give grandma and grandpa for Easter. 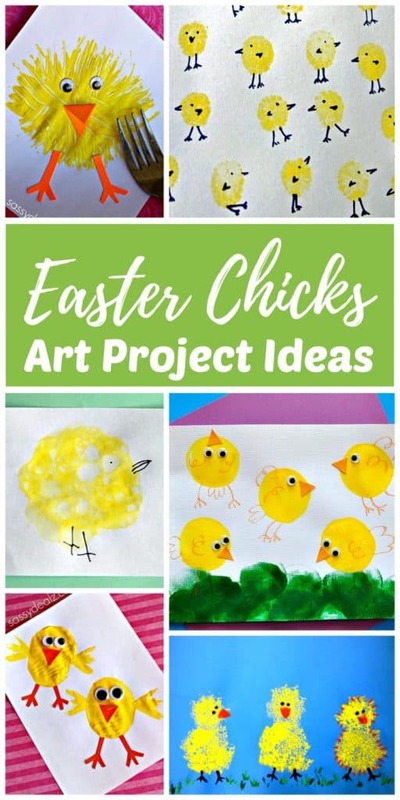 Make Easter chick art as a simple and fun Easter art idea for kids. There are lots of fun ways to create spring chick art. My daughter and I LOVE to make fingerprint chick (and bunny) magnets… They are super easy and so darn cute! Christ-Centered Easter art projects can be a great way to share the story of Easter. Resurrection Eggs and The Easter Story Egg are also a fun way for children to learn about the resurrection of Christ with your children. 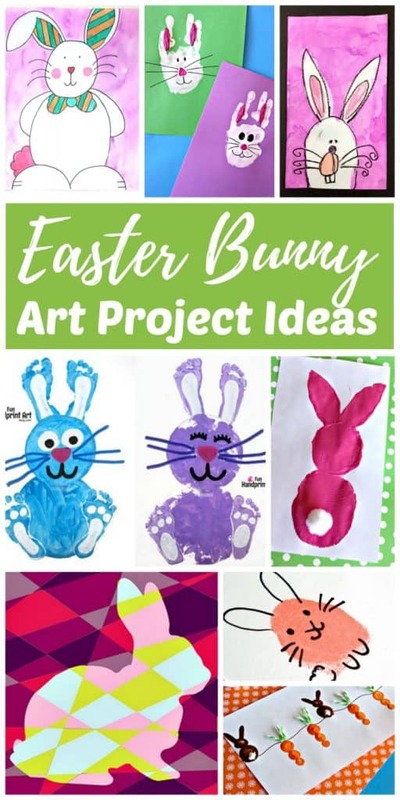 Guided projects like the Easter art ideas found above are fun and can lead to individual forms of expression, however, children also need ample time to create open-ended process art. It’s important to allow downtime for the kids to explore where boredom can lead them. It often leads my daughter into our art and craft room to create and explore her own artistic process. One form of open-ended process art that your child may have enjoyed as a toddler is fingerpainting. You can also give the wet-on-wet watercolor painting technique a try. Rainbow Art Projects Kids LOVE! Don’t forget to check out Fun Eater Traditions to Start with your Family. You may also enjoy our Spring Bucket List Seasonal Activity Guide.